Eric L. Conley | The Leverage Network Inc. Eric L. Conley – The Leverage Network Inc.
Eric L. Conley is the division vice president of service lines and surgical services. In this role, Eric leads the ongoing development of integrated clinical service lines and oversees administrative leaders of all service lines. 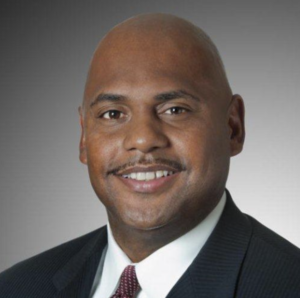 He will also provide leadership for strategic planning, operations, quality, safety, experience and financial achievement across KentuckyOne Health. Prior to this position, Eric served as vice president of operations at Northwestern Memorial Hospital for the past five years. In this role he had full P&L responsibility for Surgical Services; Our Cardiac Service Line, the Bluhm Cardiovascular Institute; our Patient Care Hub which houses rehabilitation Services, including Pt, OT Speech and Respiratory Therapy, Social Services, Volunteers, Pastoral Care, and nursing Float Pool; Our Orthopeadic Services Line; as well as partnering with other senior leadership on the construction of the Outpatient Care Pavilion. Prior to Northwestern Memorial Hospital Eric held Senior Leadership positions at Franklin Square Hospital in Maryland Washington DC and with the Duke University Health System, Memorial Sloan Kettering Cancer Center. Eric’s management experience includes a broad range of clinical and support functions, including Physician Practice Management and Resident Clinic Operations. Eric is an active member of the American College of Healthcare Executives, the National Association of Health Services Executives, and was selected as 2011 Chicago United Business Leadership of Color nominee, Chicago Defender’s 2012 Men of Excellence Award, and 2012 Fellow in Leadership Greater Chicago. Eric currently serves on 4 boards in a leadership capacity and one Advisory Board. Eric is married to his wife Janell and they have three daughters Cydney, Cori and Christen.